Frank Page has been a KWKH air personality since 1947 and was an announcer on the Louisiana Hayride. Page started in radio by working on the air at KGHI Little Rock, AS before and after his high school classes. He was soon also working at KLRA, Little Rock, AK. Page served in World War Two and at the end of the war, was on the air at Armed Forces Radio, Berlin. In 1947, he stated at KWKH Shreveport, LA. He became an announcer for their Louisiana Hayride program in 1949. Page later hired Jim Reeves as a Hayride announcer, and introduced Elvis Presley on his first appearance on the show, Saturday, 16th October 1954. In addition to his Country airwork, he did late night rhythm and blues shows sponsored by Stan's Record Shop on KWKH and KAAY as Brother Gatemouth. Bob Dylan credits this show as an influence and mentions Page in two of his books, "Dylan" and "Tarantula". 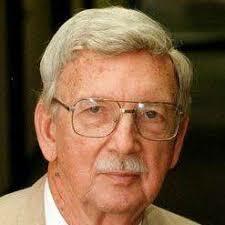 Page worked at KWKH for more than fifty continuous years. Frank Page was inducted into the Country Music D J Hall of Fame in 1998. Frank has received the Louisiana Association of Broadcaster's Lifetime Achievement Award. His book "Elvis - The Hayride Years 54-56" was published in 2004. Page continues as a member of the KWKH airstaff.